CBS has been around as a TV network for almost 75 years – which is only slightly longer than CSI’s lifespan – and in that time it has offered up more quality TV shows than most people can watch in a lifetime. But not all of those shows were allowed to stick around as long as, for instance, The Mary Tyler Moore Show or How I Met Your Mother, and some were jettisoned off into the ethers far too early. Here are 10 shows that CBS canceled too early in decisions that should still be haunting the network to this day. We’ve already done this kind of thing with NBC and Fox, and now it’s time to target our sights on the Eye. Sure, we’re living in a time now when The CW is giving viewers a superhero smorgasbord, but back in 1990, there wasn’t much to choose from. 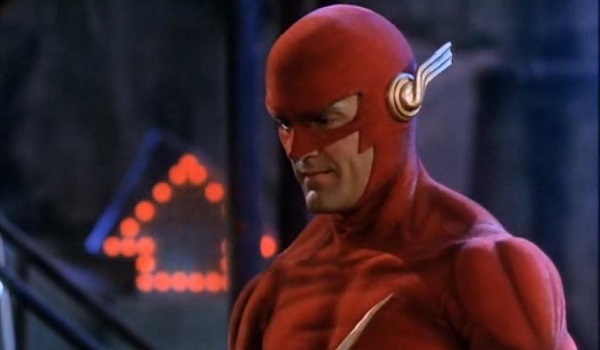 Enter the chiseled face of John Wesley Shipp as Barry “The Flash” Allen, and people were quick to flock to the Scarlett Speedster. Just not enough people, apparently. Initially pit against the mega-popular The Cosby Show, The Flash almost immediately got its timeslot changed, and it was later put on a completely different night of the week. Weeks between new episodes didn’t exactly help, either, and The Flash was sent to an early grave after just 22 episodes. Thankfully, both Shipp and Mark Hamill made the jaunt to the modern version of the show, which has already lasted longer than its predecessor. 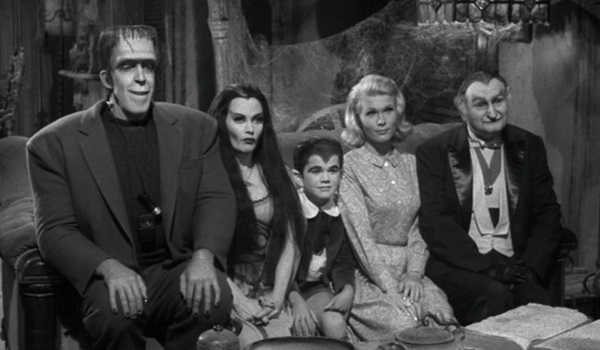 With one of the most iconic opening themes kicking it off, The Munsters came into existence in 1964 right around the same time as The Addams Family, though with a far broader sense of humor than that more macabre sister-com. Its pitch-perfect cast excellently brought Universal’s monsters into the suburbs for goofy hijinks, and it managed to net 70 episodes over just two seasons, but ratings tanked after Batman premiered in the same timeslot. Rather than shifting it around as CBS seemed to do with everything else, they just canceled it outright. The Munsters went on to become a huge hit in syndication, and eventually led to reboots and features, but nothing quite captured the same spirit of the original show. We’d like to throw some additional shade over at NBC for not moving forward with Bryan Fuller’s Mockingbird Lane a few years back. Just two years after Newhart’s groundbreaking finale, comedy legend Bob Newhart went back to CBS for a new sitcom that, in retrospect, probably wasn’t the best idea for 1992. The show saw Newhart as a comic book creator whose prized character is being revived and modernized by a corporation (dubbed AmCanTranConComCo), a plotline that would feel right at home on today’s TV schedules. Viewers weren’t very loyal, and CBS completely retooled the show for its extremely brief Season 2; only five of nine episodes actually aired. Considering both The Bob Newhart Show and Newhart only got stronger as the years went by, it’s likely that Bob could have become something great in later years as well. CBS’ reliance in recent years on multi-camera sitcoms and crime procedurals has made some yearn for the excellent serialized dramas of the network’s past. And one of the best in that bunch is definitely Picket Fences, created by David E. Kelley. 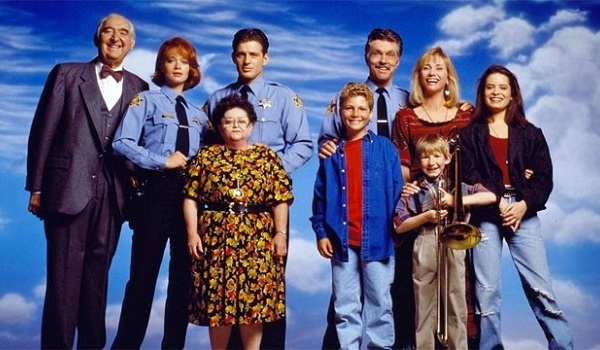 The show centered on the town of Rome, Wisconsin, and the oddball events in the lives of its citizens (who were portrayed by one of the best ensemble casts of the 1990s). The show took on all manner of subject matter, from religion to sexual preferences to animal sacrifice, and also featured a weird running gag of mayors who died in strange ways. Despite critical success and Emmy wins, the ratings drop in Season 4 was apparently too large for CBS to look past, and the fences were torn down. One of the best character-based sitcoms to ever grace TV screens, WKRP in Cincinnati was as dependable as TV comedy got in the late 1970s, boasting a stellar cast delivering excellent writing, all while some of the grooviest tunes imaginable were playing. (Seriously, the Thanksgiving episode is one of the greatest things of all time, and is worth the rewatch this holiday season.) And yeah, WKRP did last four seasons, which is hard to complain about, but CBS is to blame for the show’s ratings downfall. The network was constantly changing its timeslot, and when viewers were unable to catch up with where to find it, CBS axed it, with the final episode ending on a cliffhanger where the radio station was taken over by a news director. Syndication was kind to the show, and CBS moronically tried to bring the show back a decade later with New in the title. I admit to completely forgetting that this show existed before putting this list together, but that doesn’t take away from Now and Again being a solid slice of sci-fi drama on a network that often shies away from genre TV. Starring Eric Close as a government-engineered project with John Goodman’s brain in his artificial head – well, John Goodman’s character Michael, not the actor himself, although that’s a good idea for another show – Now and Again also starred Dennis Haysbert as the government official in charge of the project. The show mixed terrorist-nabbing action with familial drama involving new-body Michael reconnecting with his family who thinks he’s dead. Due to low Friday night ratings, Now and Again only lasted 22 episodes and was thrown in front of a subway train in 2000. 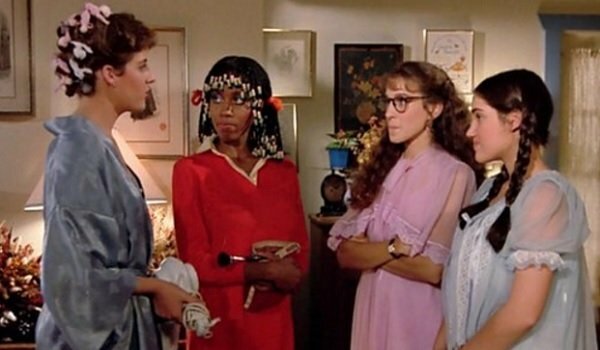 A show that was ahead of its time even though it was clearly a direct product of its time, Square Pegs hit CBS in 1982 and pretty much introduced the world to Sarah Jessica Parker. Created by former National Lampoon and Saturday Night Live writer Anne Beatts, Square Pegs remains one of the best high school sitcoms out there, as it presented a realistic look at the lives of eight freshmen just trying to make it through the complicated process of fitting in. Despite critical acclaim and non-awful ratings, the show was canceled by CBS after only 20 episodes. Interestingly, there were rumors over the years that high levels of cocaine use on the set by the cast heavily contributed to the show’s quick downfall. Jericho is one of those shows that fans still can’t quite believe isn’t coming back, even though it’s been off the air since 2008. A cult show by any definition, Jericho told the mystery-filled story of the titular Kansas town in the aftermath of a nuclear attack that hit all across the U.S., and how the citizens therein survived and tried to keep things moving along. Canceled for low ratings after Season 1, Jericho was actually brought back to life for a seven-episode Season 2 due to an overwhelmingly positive fan campaign. Those same fans have tried again and again to get Season 3 made – it was one of the early shows that Netflix was interested in reviving – but at this point the story’s continuation has only lived on in comic book form. 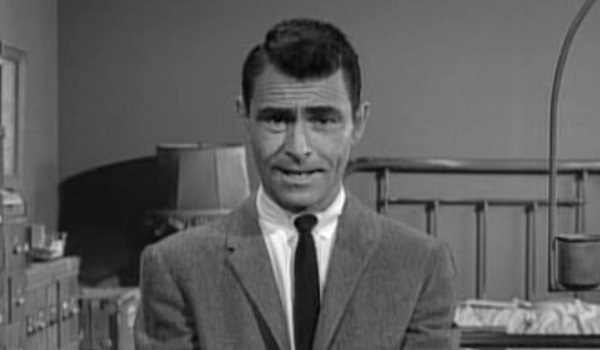 Yes, it’s another show that actually lasted quite a while, as The Twilight Zone made it through five whole Emmy-winning seasons. But we’re talking about something that’s widely considered one of the greatest shows on TV, and one that ran into very few dips in content quality, despite creator Rod Serling and his team working ridiculously hard on it all. In 1964, CBS President Jim Aubrey canceled the show after years of attempting to lower the budget and threatening to end it all – he was fired the next year – and Rod Serling’s feelings about it all were pretty evident in him saying that he “canceled the network,” subsequently selling off his show rights back to CBS in a move that was far dumber than the average Twilight Zone episode. Head to the next page to tell us which show you miss the most. Which CBS Cancelation Stung The Most?